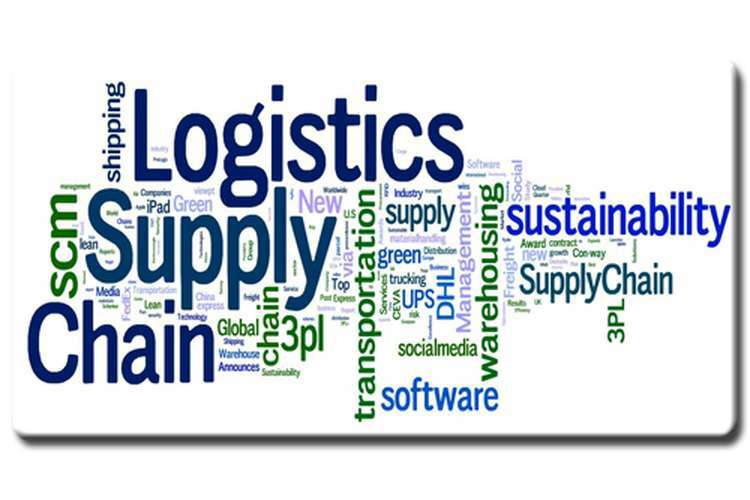 Logistic management is basically an element of supply chain management which facilitates the organisation to meet the demands and expectations of the customers with the help of planning, monitoring, control and execution of the activities effectively and store the relevant information and goods to the actual destination. The logistic activities largely assist the organisations to reduce the expenditures and improve the customer services to the desired levels. Transportation is been considered to be the most important aspect related to the delivery of the goods and services from one place and another and thus requires making effective choices for the mode of transportation in any of the organisation. The present report is basically generated with the purpose to gain an enhanced understanding of the logistics and its related aspects. It would be focusing on the case of a leading industrial power generator supplier facing failure in delivering the equipment to the clients. It would be focusing on various aspects faced while arranging the mode of transportations along with the issues faced during it. The report would even identify the documents being required for the shipments of the good and services and ensure a systematic delivery of the same. The transportation system is required for the delivery of the generator and load bank to Samsung Heavy Industry in Santos Basin. In order to satisfy the customers, it is necessary to determine the cost and time along with the effort to serve the contract. 1. The organization offers the pieces of equipment on the ground to load or release the goods. The support is effective to handle the various kinds of goods and loads with airlines (Wen.et.al.2010).? 2. The required permits are given to transport the cargo to airport or from the airport so that customers need not to worry about the permissions at checking posts. 3. The shipments are prepared according to the nature of the products so that cargos can be loaded with effective packing and delivery without damage and lost. 4. The management of the Volga-Dnepr Airlines is supportive to suggest the recommendations and practices to load the cargo for effective transportation. 5. The insurance and customer relations are given proper focus and handled with assistance. 6. The organization also has contracts with other organizations for the airline services with the small aircrafts so that competitive advantages can be achieved with reduced cost. The Ruslan freighter aircraft is well known for its capability to ship the heavy and oversize cargo packets. The aircraft has special arrangements to load the cargo from the wheels and does not demand any kind of equipment. The wheels are capable to lead the containers those can be shipped into large size cabins (Allen.et.al.2010). The aircraft is capable to send the heavy cargo of about 120-kilotons to a remote location with its high flight range. The organization also can review the choice of Boeing 747-200F/300F as it was designed with increased engine power and capabilities to land with the heavy load in it. These features in Boeing are useful to carry the large size and heavy cargos to the extreme remote destination in the world. The Boeing has inbuilt cranes to handle the cargo up to three tons in weight whereas the four monorails motors have the capability to pull 30 tons. The features make it different from the traditional aircrafts. To ship the generator and load bank to the remote location within the decided time, it is necessary to make a plan to enhance the certainty of success. The team members meet at an airport with the required cargo package. The management of Volga-Dnepr Airlines validates the customer identification and assists them in technical specifications. The loading aircraft needs to carry the weight of 60 tons for the distance of 9,500 km (Richardson.et.al.2011). The aircraft has the speed of the 925km/h with payload so that following information has been collected to deliver the payload at the time. With load and unload time. Santos basin is 9 hours and 20 min away from the Rio with 250 km. the time is greater in comparison of flights because the rest of work will be done with domestic lorries and load movers. Duta services are selected as the movers for the cargo as the services use the set of three vessels plying between the Singapore and Batam. The Volga-Dnepr Airlines use the tours twice daily to hip the cargo packets and one tour is made through the sailing per day to ensure the delivery of cargo packets by tug and barge methods. The Duta agency is about 15 knots away and has the distance of 30 km from the Batam in which expected the time of 1 hour and 5 minutes are assumed. Also, the time is required to load and unload the cargo on a destination (Wu, 2016). There is the requirement of the agreement to make the visit in Bahrain, Kuwait, Qatar, Saudi Arabia, Oman and the United Arab Emirates along with Singapore. The agreement is known as GSFTA which ties GCC countries and Singapore. Singapore has the FTA with GCC to make the transportation and tours effectively. The second is signed by the Singapore country as Singapore-Jordan FTA to connect with Middle East countries but there is no FTA for Brazil for transportation services. FTA is an agreement in which the organization of airlines and aircraft provides the services, maintenance and insurance to the customers. It also has the coverage of extra cost along with airport charges and fuel fees (Wensveen, 2016). ACMI is one the biggest lease provider in the UK in the airline industry. ACMI lease is used with the role of the charter so that shipper and carrier can contract on the safe channel. The charter helps to utilize the capability of the aircraft to load the cargo and carrier has the security with the funds and rights. ACMI charters are used to ship the bulk commodities like the fertilizers, grains and other heavy products. Charter aircrafts are used to accomplish the requirements of the shippers for the specific product and cargo delivery. It is used in emergencies and conditions when the traditional ships are not capable to handle the large and heavy cargos in their aircrafts. Charter aircraft has no schedules due to its specific demands and usages. The special usages and capabilities make it a project cargo. The traditional planes are limited for the weight and size of the cargo and not preferred to ship the heavier cargos than their capabilities. The cost of shipment to send it to the remote location is calculated with two methods (Ball.et.al.2010). The first is dedicated to analyzing the weight of the cargo items and the second method is used according to the volume occupied by the cargo. Additions to it, the cargos are not placed directly into the aircraft as the containers are used to make the load and unload easier. The containers are the metallic boxes at the height of 20 feet and 40 feet whereas the length and width are equal to 8 feet. There are two containers to load into aircraft. The formula to calculate the charges is cm3/6000 = total chargeable weight. There is the total weight of 60000 kg or 60 tons. Now the organization needs to calculate the chargeable weight. Gross weight of 60tons will be charged for the rare destinations lacking the scheduled airline services. The containers are filled according to their full capacity. The full container load (FCL) has reached and utilized the capacity of hosting container. The bulk sized cargos are placed outside of the container but the rest of normal containers are placed normally inside the aircraft. The ship is directed to lease the cargo in Santos Basin (Morrison and Winston, 2010). The distribution is done with the help of local distributer in country where the cargo is shipped. Normally, the distributer purchases the cargo items from the exporter and determine own prices on them to earn the benefits. In this manner, there are two kinds of invoices are managed (Ramberg, 2011). One invoice is issues between the exporter and distributer in importing country. Another invoice is issued by the distributers to customers so that customer assumes it as a local sale. The invoices are used for the warranty or guarantee purpose on each sale and buy. 1. The fire and lightning hazards are covered in this broad form of insurance. It handles the insurance in case of fire and lightning damage to products and vehicle during the transportation (Metrass-Mendes and de Neufville, 2010). 2. Windstorm or hail related insurance cannot be claimed if there is no damage to the exterior of the vehicle or storing building. The funds for products are only given on the basis of the exterior damage to the container. 3. The broad form of insurance offers the coverage for the explosion, civil commotions, aircrafts and other vehicles. The damage to the aircrafts during the transit of delivery. 4. The policy is also designed to cover the loss of theft and smoke generated damages. However, the loss and damage due to weather instability are lots covered as part of insurance. With the nature of the transportation, it is recommended to choose the policy B as it has effective and optimum coverage for the risks and issues during transit of cargos to a destination. Policy B is good to handle the risk and to offer the maximum returns in case of hazards. Addition to it, the coverage with policy A is known as open policy or insurance. It is the effective choice if the transportation is made on the regular trades and channels. The coverage is provided for any kind of loss and damage to the material to that insurance is made. In the coverage, the organization has full risk management with the aircraft and shipments during the transportations. Although, the insurance also has no coverage for the loss and damage during the wars, civil conflicts and governmental issues (McGovern, 2016). The coverage A of the Institute Marine Cargo Clauses offers all the benefits those are required for the services. The coverage is identical in different countries. Allen, K.J., Bolshinsky, I., Biro, L.L., Budu, M.E., Zamfir, N.V. and Dragusin, M., 2010, June. Air Shipment of Highly Enriched Uranium Spent Nuclear Fuel from Romania. In European Nuclear Conference (ENC2010), Barcelona, Spain (Vol. 1). Bacha, C.J.C. and Vinicios de Carvalho, L., 2014. What Explains the Intensification and Diversification of Brazil's Agricultural Production and Exports from 1990 to 2012?. Ball, M., Barnhart, C., Dresner, M., Hansen, M., Neels, K., Odoni, A., Peterson, E., Sherry, L., Trani, A.A. and Zou, B., 2010. Total delay impact study: a comprehensive assessment of the costs and impacts of flight delay in the United States. Bergami, R., 2013. Incoterms 2010: The newest revision of delivery terms. Acta Universitatis Bohemiae Meridionalis, 15(2), pp.33-40. Blum, H., Atkinson, B. and Lekov, A.B., 2013. A methodological framework for comparative assessments of equipment energy efficiency policy measures. Energy Efficiency, 6(1), pp.65-90. Christ, N. and Ferrantino, M.J., 2011. Land transport for export: The effects of cost, time, and uncertainty in sub-Saharan Africa. World Development, 39(10), pp.1749-1759. Davuluri, P., 2016. ISO 14001 Certificate. Djankov, S., Freund, C. and Pham, C.S., 2010. Trading on time. The Review of Economics and Statistics, 92(1), pp.166-173. Malfliet, J., 2011. Incoterms 2010 and the mode of transport: how to choose the right term. In Management Challenges in the 21st Century: Transport and Logistics: Opportunity for Slovakia in the Era of Knowledge Economy (pp. 163-179). City University of Seattle Bratislava. McGovern, E., 2016. International trade regulation (Vol. 2). Globefield Press. Metrass-Mendes, A. and de Neufville, R., 2010, July. Air transportation policy for small communities: lessons from the US experience. In 14th ATRS World Conference Proceedings, Oporto, Portugal. Morrison, S. and Winston, C., 2010. The economic effects of airline deregulation. Brookings Institution Press. Qi, Z. and Buer, M., Broadcom Corporation, 2015. Secure generation of a device root key in the field. U.S. Patent 8,953,790. Ramberg, J., 2011. 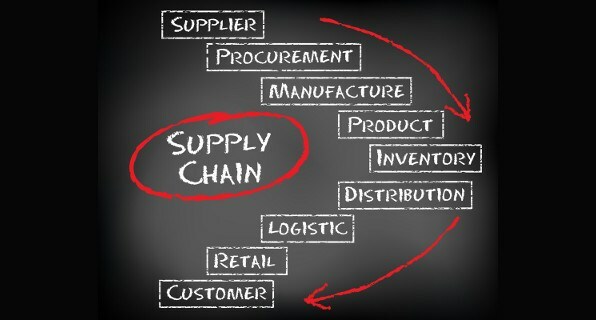 INCOTERMS 2010. Eur. JL Reform, 13, p.380. Richardson, T.S., Beaverstock, C., Isikveren, A., Meheri, A., Badcock, K. and Da Ronch, A., 2011. Analysis of the Boeing 747-100 using CEASIOM. Progress in Aerospace Sciences, 47(8), pp.660-673. Wen, C.H. and Lai, S.C., 2010. Latent class models of international air carrier choice. Transportation Research Part E: Logistics and Transportation Review, 46(2), pp.211-221. Wensveen, J.G., 2016. Air transportation: A management perspective. Routledge. Wu, C.L., 2016. Airline operations and delay management: insights from airline economics, networks and strategic schedule planning. Routledge.